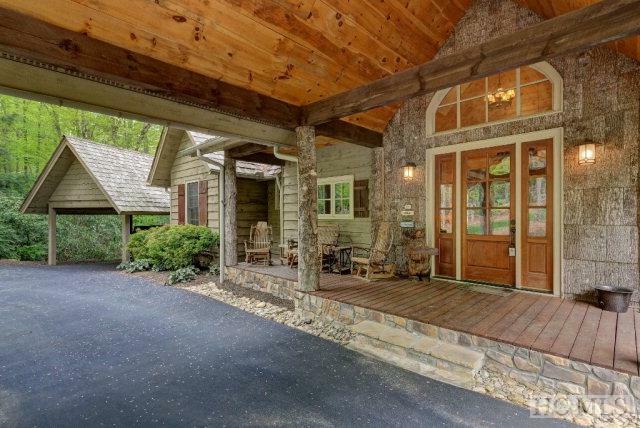 Offered fully furnished, enjoy this mountain home for all seasons with beautiful wood accents throughout making it warm, welcoming, and great for entertaining or just quiet times. A massive stacked stone fireplace, cathedral ceiling, and natural light from windows and a wall of patio doors enrich the great room. Open to the dining area, the comfortable kitchen has stainless steel, granite, and tile. 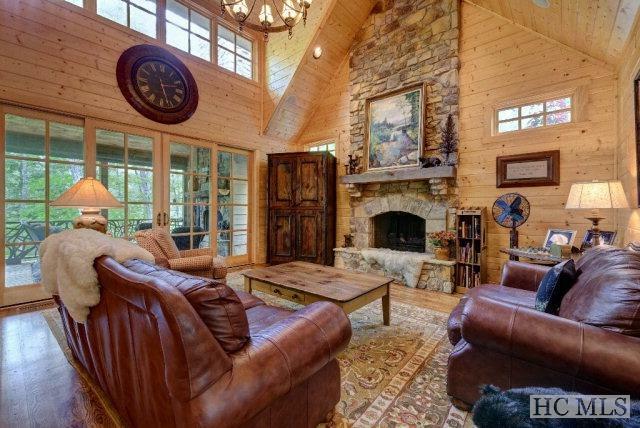 The master suite is located on the main level and has direct access to the large screened-in back porch boasting a stone fireplace for cool summer evenings. 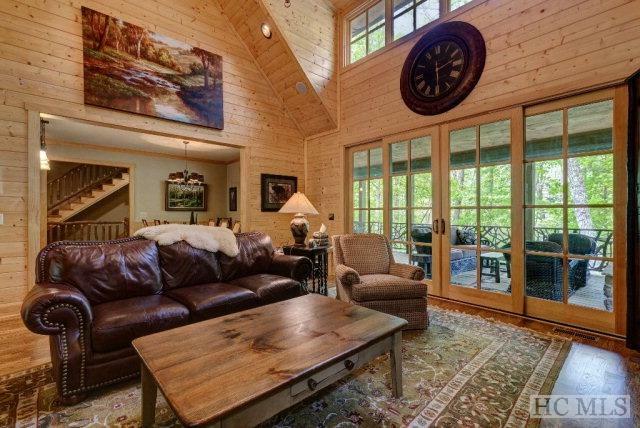 The lower level of the home features a family room with fireplace and access to the lower screened porch. 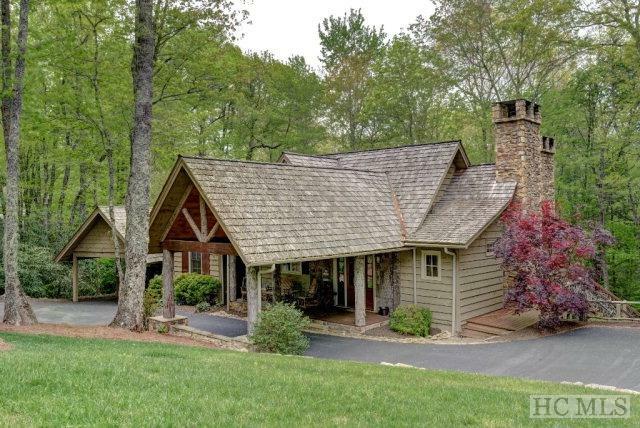 The gently rolling lot has mature woods and landscaping, a very impressive fire pit area, and even a kids' play house as a backyard treasure. Ownership/Membership will include generational privileges and all Trillium Links and Lake Club amenities including deeded lake access. Listing provided courtesy of Kyle Mckim of Highlands Properties.